The pension fund is reducing costs as it struggles with the burden of benefits promised to more than 1.7 million government workers. 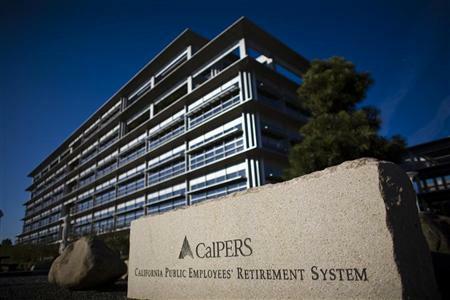 (Bloomberg) — The California Public Employees’ Retirement System, the biggest U.S. pension, plans to sell as much as $3 billion of its real-estate portfolio, a move that’s part of a broader plan to reduce costs, risk and the number of external investment managers. The $303 billion fund will sell about 12 percent of its $25.5 billion real-estate program of commercial, industrial and residential assets. The move will let the fund invest in assets and managers that are more in line with the fund’s current strategy, Paul Mouchakkaa, Calpers’ senior investment officer for real assets, said in a statement Tuesday. “The sale of these assets represents the continued effort to reduce costs, risk and complexity across the Calpers fund,” he said. New York-based Park Hill Group Inc. has been chosen to help with the sale. The total amount for sale could vary based on conditions in the real-estate market and how much it can absorb, the fund said in the statement. The sale comes as the pension fund is working to reduce costs and risks as it struggles with the increasing burden of benefits promised to more than 1.7 million government workers. It has about 77 percent of the money it needs to cover pensions for state and local employees. When investment returns fall short of its 7.5 percent target rate, taxpayers need to make up the difference. Ted Eliopoulos, the fund’s chief investment officer, said June 16 that Calpers earned 3 percent in the 10 months ending April 30 and probably won’t meet its target rate for earnings this year. Last year, the fund decided to divest its entire $4 billion from hedge funds, citing their complexity and cost. Eliopoulos announced June 8 that he intends to reduce the number of outside managers the fund hires from about 200 to about 100 by 2020 as a way to lower how much in fees it pays to Wall Street. Calpers began restructuring its real-estate portfolio after suffering a 37 percent loss in 2010, when it wrote off speculative residential investments as property values slumped. As part of the overhaul, the fund has focused on core income investments such as rental apartments, industrial parks, offices and retail space.